Businessman Mr Phillip Chiyangwa is embroiled in a messy divorce in which his wife of 25 years is claiming 85 percent of the couple’s wealth and US$83 000 per month for 120 months as maintenance after the termination of the marriage. Mrs Elizabeth Chiyangwa (nee Juma) says her husband was now associating with several other women and that their marriage had irretrievably broken down. Her lawyer Advocate Isaiah Mureriwa of Scanlen and Holderness, filed the divorce papers on at the High Court on Monday. Mrs Chiyangwa is seeking a decree of divorce, an order for property sharing in which she claims 85 percent and monthly maintenance in the sum of US$83 000 for a period of 120 months. Among the listed properties believed to be part of Mr Chiyangwa’s empire include 60 hectares of land in the Grange (Harare), Stoneridge Farm measuring 586 hectares, six hectares of land in Harare, Lot 3 of Delnadamph Estate measuring 5 hectares, Stand 65 Colne Valley Township 5 of Lot 7A measuring 7 hectares, Stand 389 Derbyshire Township measuring 25 hectares, a piece of land in Zvimba measuring 1 331 hectares, piece of land in Shortson Harare measuring 72 hectares, part of Sangwe Farm in Chinhoyi measuring 845 hectares, 2 812 hectares of land at Olympus Farm in Chinhoyi, 4 060 hectares at Old Citrus Farm in Chinhoyi, 1 416 hectares at Strathcona Farm, Chinhoyi, 600 hectares at North Umzari Farm, urban residential stands throughout the country, a fleet of top of the range vehicles and 40 companies. Mrs Chiyangwa claims during the subsistence of their marriage, they acquired 109 stands, plots and structures and a host of other properties. In the plaintiff’s declaration forming part of the application, Mrs Chiyangwa said she married Mr Chiyangwa in 1986 but their marriage was solemnised under Chapter 5:11 of the Marriages Act on November 11 1988. The parties have two daughters Ellen Vanessa (born 1986) and Mitchelle Martha (born 1989). Mrs Chiyangwa claims the marriage had irretrievably broken down. “The defendant (Mr Chiyangwa) has improperly associated himself with several other women sexually. “The defendant continues with such conduct such that the plaintiff finds his continued behaviour irreconcilable with a continued marital relationship between her and the defendant. “The defendant continuously neglects, emotionally and physically, abuses the plaintiff in a manner inconsistent with a normal marital relationship. “The abuse is to the extent that the plaintiff lives in constant fear of the defendant and her continued living with him is out of submission as opposed to consent, a situation incompatible with a normal marital relationship. “The defendant has successfully alienated his love for the plaintiff to other several women to the extent that the plaintiff regards as irreconcilable with a continued marital relationship. “As a result of the conducts and behaviours mentioned above, the plaintiff has consequently lost all trust, faith, love and affection for the defendant to the extent that she desires to have this marriage dissolved,” read the declaration. Mrs Chiyangwa said the properties she listed were acquired by the couple over the years but registered in Mr Chiyangwa’s name or names of some companies linked to him. She wants the court to appoint an independent professional auditor to determine the exact extent and particulars of the estate acquired by the parties during the subsistence of the marriage and compile an inventory of the properties. An independent evaluator, Mrs Chiyangwa says, should be appointed by the registrar of the High Court to evaluate the properties in the inventory to be compiled by the auditors. Mrs Chiyangwa says the parties involved in the divorce should equally pay the appointed evaluator and forensic auditor. She wants 85 percent of the property. Married life got off to a rocky start for one couple when the groom's pregnant mistress turned up at the reception intent on starting a fight. The uninvited guest, who was dressed for the occasion in her own wedding outfit and reportedly drunk, wrestled the bride to the ground as the groom attempted to pull them apart. 'You didn't have an abortion while you could and now you come here with your big stomach,' the bride apparently shouts at the woman in the video. FORMER British Prime Minister Tony Blair leaned on South Africa to back a plot for a military invasion of Zimbabwe and topple President Mugabe from power, former President Thabo Mbeki has revealed. Mr Mbeki made the revelations on a televised programme on AljazeeraTV on Saturday, saying the British wanted to replace President Mugabe with MDC-T leader Mr Morgan Tsvangirai. The British Government has been sponsoring the MDC-T since its formation in 1999 to effect regime change in Zimbabwe, but the plan has come to grief. Speaking on Talk to Aljazeera, the former South African President said: “There is a retired chief of the British Armed Forces who said he had to withstand pressure from then Prime Minister of the United Kingdom Tony Blair who was saying to the chief of the British Armed Forces ‘you must work out a military plan so that we can physically remove Robert Mugabe’. Mr Mbeki, who facilitated inter-party talks that led to the formation of the now defunct inclusive Government made up of Zanu-PF and the MDC formations in 2008, took a swipe at the West for interfering in the domestic affairs of sovereign nations, particularly in Africa and the Middle East in a bid to install puppet regimes. “You’re coming from London, I don’t like President Mugabe for whatever reason, people in London don’t like him…you are going to remove him, it means you are going to put somebody else in his place. Why does it become a British responsibility to decide who leads the people of Zimbabwe?” he said. “We were saying no. Let Zimbabweans sit down. Let them agree what they do with their country. Our task is to make sure we stay with them. We work with them. Mr Mbeki said the Syrian crisis and other similar global conflicts could only be resolved through negotiated settlements as opposed to the West’s regime change template. He said the West believes that the Syrian crisis could only be resolved by removing the Government of President Bashar Assad and warned such an approach was bound to fail. Political analyst and Midlands State University lecturer Mr Christopher Gwatidzo yesterday said Mr Mbeki must be applauded by all Zimbabweans for his Pan Africanist values and urged the country to remain vigilant as the West still harbours intentions to effect illegal regime change. 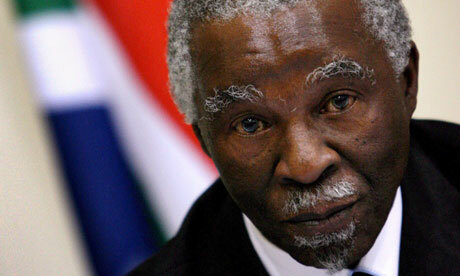 “We must applaud the stance taken by President Mbeki,” he said. “It shows his commitment to Pan Africanism. If he was some other weak African president who is not principled, he would not have behaved like that. University of Zimbabwe lecturer Dr Charity Manyeruke said Mr Mbeki’s stance must be a lesson to other African leaders within and outside the region. “We commend what President Mbeki has done,” she said. “That is what we expect presidents from countries like Botswana to do. That is what we expect even South African President Jacob Zuma to do. We want to know what has been happening all along behind the closed doors. “Behind the closed doors are big regime change agendas. Dr Manyeruke said the West wanted to re-colonise Africa by installing puppet governments as evidenced by its funding of non-governmental organisations and some political parties in the country. Xenophobia attacks have started again in South Africa, Zimbabweans were attacked !!!! Xenophobia motivated attacks have resurfaced in Liphalale town in South Africa’s Limpopo province where five shops, two houses and two vehicles belonging to Zimbabweans were burnt on Thursday night. The incident has raised fears of the return of the chaotic situation where 62 foreigners were brutally killed and thousands others displaced during similar attacks in May 2008. Sources in the coal mining town of Liphalale said tensions were still high in Maropong suburb yesterday amid reports that the locals were planning another onslaught on Zimbabweans. Tensions had been high since April 16 when a number of Zimbabweans living in the area were attacked by South Africans. The volatile situation in Liphalale has forced Zimbabweans living in that area to form a committee to engage the local community and policy makers on the repeated attacks. The committee’s organising secretary Mr Jefta Mararike, who is also a victim of the attacks, said in a telephone interview yesterday that the situation was still tense. “We are living under constant fear,” he said. “You will note that this is a second incident following the burning down of five shops belonging to Zimbabweans in May this year. However, no people were injured in both incidents. Mr Mararike said they had since notified the Zimbabwean Embassy in that country about the incident and urged the South African police to prevent such attacks. He said despite getting assurance from the police and residents that they would live in peace, Zimbabweans in the area were on high alert for imminent attacks. Some living in the town, Mr Mararike said, had started relocating to other towns in fear for their lives. “The police have promised to act on the matter though they seem too reluctant to take any meaningful action,” he said. Mr Mararike said among the vehicles that were burnt were a Ford Bantam and a Nissan pick-up belonging to a Zimbabwean businessman. A Liphalale police spokesperson who identified himself only as Warrant Officer Mokoena said he could not answer questions from The Herald yesterday. Zimbabwe’s Consular General to South Africa Mr Godfrey Magwenzi said in a telephone interview that he was still assessing the situation together with South African police. Zimbabweans living in South Africa, especially Limpopo and Gauteng provinces have been on the receiving end of xenophobia motivated attacks. In May, five shops belonging to Zimbabweans were razed down to ashes by a mob in Marapong suburb in the same town. It has since been established that the Liphalale Business Forum which operates small to medium enterprises is behind the onslaught on Zimbabweans whom they accuse of putting them out of business and of fanning crime in the area. 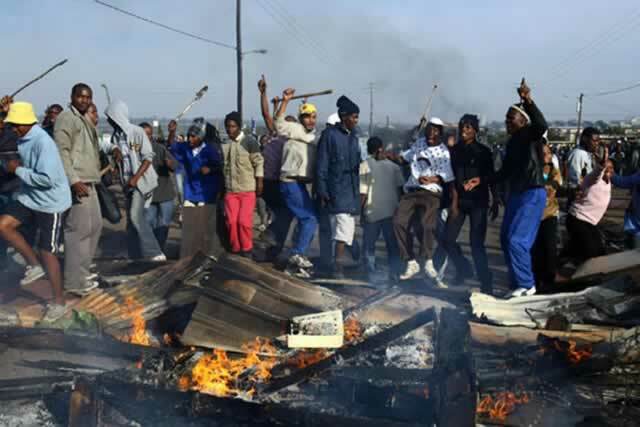 In June 2011, hundreds of Zimbabweans living in Seshego Township in Polokwane City were left homeless following similar attacks by a mob which also fatally stoned one of them. In May, two Zimbabwean artists were shot dead by a Somali businessman in Diepsloot suburb, Johannesburg area. A cheeky 31-year-old Harare woman has been arrested and charged for allegedly scalding her husband on the face and chest with a burning paraffin stove. Mbare magistrate, Ms Shelly Zvenyika this week slapped Serah Yoko Musiiwa with a 20-day prison sentence with an option of US$50 fine for scalding her husband, Evidence Wilson Sithole (35), who had caught her walking with a boyfriend. She was convicted for aggravated battery with great bodily harm in connection with the incident. The prosecutor Tendayi Shonhayi told the court that on October 12, Musiiwa of number 10912 in Kuwadzana Extension was coming from the shops with an unidentified man when she bumped into her husband. The husband who was acting on a tip off, intercepted the duo and questioned her wife who failed to give a satisfactory answer about the “strange man” she was walking with. An argument erupted between the couple leading to a fist fight between the two men. As the fight raged on, Musiiwa fled from the scene. The boyfriend later fled the scene after being beaten by Sithole. 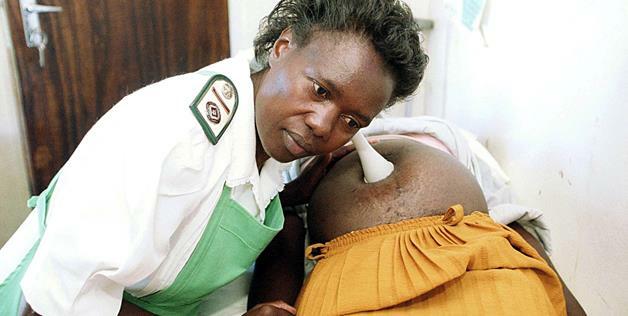 When Sithole went home, he had another altercation with his wife whom he poked on the forehead accusing her of cheating. This angered Musiiwa who picked up a burning paraffin stove and hurled it onto her husband who sustained serious burns on the face, chest, hands and a deep cut on the waist. The couple’s two-year old baby was also burnt during the incident. Sithole later reported the case to the police leading to the arrest of his wife. At least eleven people have been killed after a bus collided with another vehicle on the N1 near Makhado in Limpopo. The bus was apparently overtaking a car, when it crashed head-on into the vehicle. Both the drivers of the bus and the car are among the dead. Limpopo Roads and Transport spokesperson Jimmy Machaka said the Gudwil Luxury Coaches bus involved in the accident was ferrying passengers from Johannesburg to Harare. The Gudwil Luxury Coaches bus that was involved in an accident on the N1 near Makhado, Limpompo, on November 22, 2013. “The accident occurred around 2am. We don’t know where it was heading but we can confirm that it came from Johannesburg. Paramedics are still clearing the scene. Only one lane is operating but is moving very slow,” said Machaka. “I can’t comment much about the incident because we are still rushing to the scene. But obviously we are saddened by the report,” said Gudis. Gudis confirmed that the bus had left at 7.30pm Johannesburg on Thursday and it was heading to Harare. The accident comes less than two weeks after the Moloto bus crash. 30 people were killed when a when a Putco bus collided with another vehicle on the notorious road. Doctors have increased medical consultation fees by more than 100 percent from US$20 to US$50, while specialists are now charging up to US$120 from US$60, threatening the existence of medical aid societies which cannot cope with the increases. This has resulted in increased cases of patients on medical aid paying either a co-payment or incurring a shortfall after receiving treatment, affecting their access to health care. Health and Child Care Minister Dr David Parirenyatwa yesterday said the practitioners should wait for a gazetted tariff which is coming soon. He said those increasing the tariffs were taking advantage of the absence of an agreed tariff. Of late, medical aid societies and service providers were failing to come up with a common tariff that ensures people on medical aid access treatment without paying a co-payment or a shortfall. “A lot of work with regards to medical tariffs have been done already and very soon we would be gazetting the new tariffs,” he said. Minister Parirenyatwa said the new tariff would be favourable to both the practitioners and the medical aid societies. Separate interviews conducted by The Herald yesterday showed that individual doctors were increasing tariffs without considering the plight of their patients. Zimbabwe Medical Association chairman of the national tariff liaison committee Mr Chad Tarumbwa confirmed the increases, saying the tariffs were actually set in April. “You will realise that very few practitioners are charging that amount because they fear that medical aid societies will withdraw their members to their own clinics,” he said. Mr Tarumbwa said ZiMA actually wanted the general practitioners to charge US$60 for the first visit and then US$40 for a review. He claimed that the increases were necessitated by the increase in cost of living, but this is despite that official statistics show that inflation has remained low in the past four years, being recorded at 0,59 percent in October. Mr Tarumbwa said the Association of Healthcare Funders of Zimbabwe (AHFoZ), an organisation for medical aid societies, wanted the tariffs to remain at US$20, but that had resulted in co-payments and shortfalls because of the increase in charges. He said all along doctors and hospitals were guided by tariffs set by ZiMA at US$50 for consultation, while medical aid societies followed tariffs set by the AHFoz which were at US$20. This meant that there was disagreement between the two bodies on the actual tariffs. Although no official comment could be immediately obtained from AHFoZ yesterday, some medical aid societies insist that employees’ salaries were still too low to cater for an increase in tariffs. They said they would have no choice but to increase the contributions if the doctors did not rescind the tariff increase. This would add more burden to workers who are already failing to make ends meet in a country plagued by a liquidity crunch. An official at Premier Service Medical Aid Society said the practitioners should reverse the increases. “Charges by surgeons on procedures are exorbitant compared to other countries in the region,” said the PSMAS official. PRESIDENT Robert Mugabe has reportedly flexed his muscles by ordering cancellation of Zanu PF provincial polls and called for an extraordinary politburo meeting to discuss widening fissures in the ruling party. The divisions became apparent last week over the results of provincial polls held in Mashonaland Central recently. Party insiders yesterday said Mugabe — who is currently out of the country — had instructed Zanu PF heavyweights to postpone the polls and called a meeting to quell infighting in the party over his successor. “The President phoned the senior party officials instructing them to postpone the elections to a later date,” a top Zanu PF official who declined to be named said. However, Zanu PF secretary for administration Didymus Mutasa refused to comment over the matter yesterday referring NewsDay to party national chairman Simon Khaya Moyo. Party spokesperson Rugare Gumbo also refused to shed light on reasons for the postponement or whether it was the President’s directive, referring questions to Khaya Moyo.The fights were pitting Vice- President Joice Mujuru and Justice minister Emmerson Mnangagwa who reportedly lead the two factions angling to succeed Mugabe. The two have, however, denied harbouring presidential ambitions. There was a public spat last week after Gumbo announced that Luke Mushore had won the Mashonaland Central chairmanship ahead of incumbent Dickson Mafios although five districts had not yet voted. But Mugabe’s spokesperson George Charamba the following day said the poll results would only become official after endorsement by the politburo. “(The) politburo has not as yet received results from Mashonaland Central province. Equally, the politburo is still to receive a report which accompanies the same,” Charamba told the media. “It is only when the politburo has been favoured with both the results and the accompanying report that it is in a position to study both before taking a decision.” Charamba’s response angered Mutasa, who then chastised him saying he had no authority to comment about party issues.The provincial elections were important in the race to succeed 89-year-old Mugabe — who has said he will serve his full five-year term after his resounding victory over MDC-T’s Morgan Tsvangirai in the July 31 elections. The ruling party is set to hold its national conference next month. 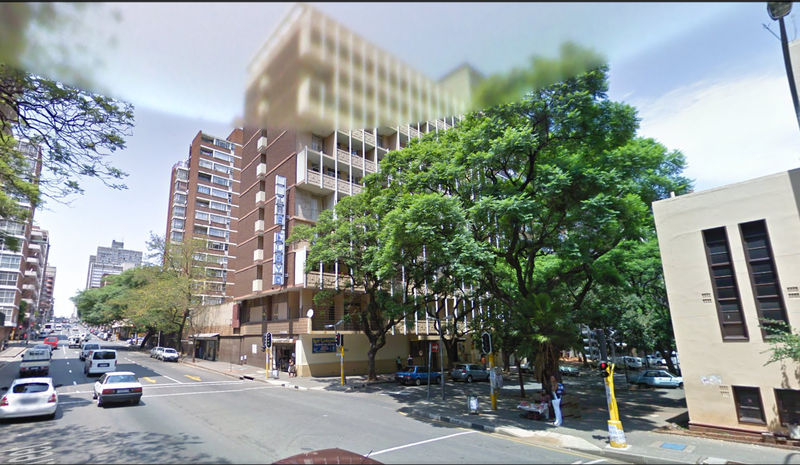 A 16-year-old Zimbabwean boy plummeted to his death from a sixth-floor window in Johannesburg after he was allegedly found undressed in bed with another man's wife. Now police are investigating whether Nyasha Johwa jumped or was pushed out of a window of a nine-floor building in Claim Street, Hillbrow, on Tuesday. 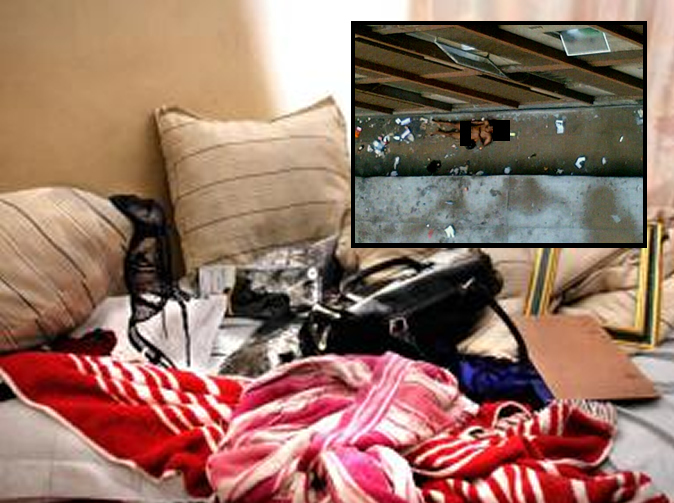 It is believed that in the early hours of the morning, the teen was allegedly let into the flat by his lover. "It was around 9.30 (in the morning). I was bathing, and suddenly I heard a woman screaming and thudding noises," said a visibly shaken Juliet Ndebele, who shared a flat with the woman. She also heard a man's voice. It was the woman's husband. Ndebele had seen him at the flat on a few occasions, so she recognised his voice. The couple, said Ndebele, were parents to a 13-year-old boy. She heard him shouting "S'febe uyajola! (wh**e, you're cheating on me)". "That's when I dressed and came out quickly. I saw her leaning out the window, screaming 'He fell! He's dead!'." Ndebele said the distraught woman then threatened to throw herself out of the window as well. "I told her not to do it," she said, "then I looked out the window to see what she was talking about and I saw him laying there undressed." Ndebele said she had not seen the boy in the flat prior to the tragedy and only saw him when he was lying face-up on the landing at The Lloyd. Pulling aside the red curtain, Ndebele shook her head at the gruesome recollection. When The Star spoke to Ndebele a few hours after the incident, it was clear that the memory still haunted her. "I can't eat and I feel weak. My heart was broken because he's so young." Getrude Sibanda, who owns the flat, said the woman had been living there since the beginning of the month. "She said she just needed to stay here for a month to get her affairs in order and would move out at the end of November." "His (Johwa's) brother was here to fetch the boy's clothes but could only find his denim shorts and sneakers." The teenager's brother, John, 24, said his brother had stopped going to school last year and was working at a club in Sunninghill. He was not sure what he did there. "I have managed to contact our family in Zimbabwe to tell them but I don't know how they're feeling," he said. "I just have no strength." The police have arrested the husband, who can't be named until he appears in court. He is facing charges of assault with intent to cause grievous bodily harm. It is believed that during Tuesday's fight, he beat up his wife. "We have opened an inquest docket because we don't know if it's murder or whether he jumped," said police spokeswoman Constable Carol Mulamu. 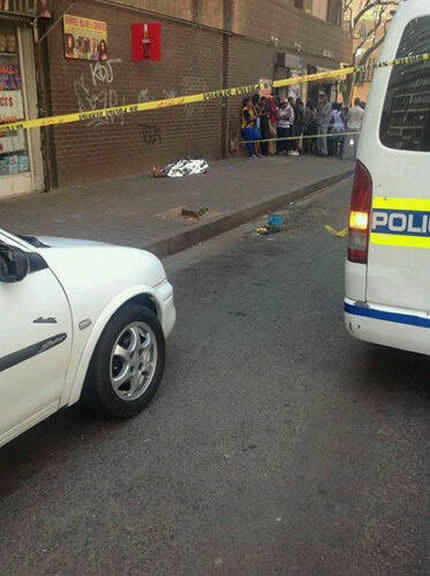 On Tuesday night, the husband was being held at Hillbrow police station. The woman is not in custody. ZIMBABWE is seeking $10 billion bailout from China to kick start the economy which is comatose following the re-election of President Robert Mugabe in July 31. The country, whose economy is stagnant, desperately needs white knights to rescue the economy which is in a tail spin. Finance minister Patrick Chinamasa was scheduled to visit China month end to seal a $10bn financial rescue package for Zimbabwe that Zanu PF believes will kick start the economy. Although Chinamasa was not immediately available for comment yesterday, sources said the China $10bn rescue package was a done deal. Zimbabwe has mortgaged its mineral resources particularly Chiadzwa Diamond fields as part of the deal to secure $10bn deal from China. On Friday Chinamasa, Foreign Affairs minister Simbarashe Mbengegwi and Media, Information and Broadcasting Services minister Jonathan Moyo met regional and international diplomats as part of efforts to re-engage the international community to rescue the country. But sources said the China sojourn was deemed the panacea to the country's economic quagmire. China, the country's all-weather friend, has become one of the country's biggest trading partners after the government adopted the Look East policy. Zimbabwe and the China Export and Import Bank last week signed a $319 million loan agreement for the expansion of Kariba South hydro-power project expected to go a long way in addressing the plethora of economic challenges besetting the country. Under this arrangement, the bank will provide funding amounting to $319,5m - representing 90% of the total project cost, while the government, through the Zimbabwe Power Company will finance the 10% balance amounting to $35,4 million. The project is expected to add 300 megawatts (MW) to the national grid, a development set to ease power outages which have largely been blamed for industry's poor performance evidenced by closure of an estimated 711 companies nationwide this year. Zimbabwe's electricity generation capacity is estimated at 1 200MW against a peak demand of over 2 200MW and the country has been battling to attract foreign funding into the energy sector for long. This has largely been due to ballooning external debt estimated at $11 billion, policy misalignments - chiefly the indigenisation law which calls for foreign companies to cede 51% of their shareholding to locals. However, the government has of late been relaxing the implementation of the policy as the pressure to attract investment and salvage the ailing economy continues to mount. 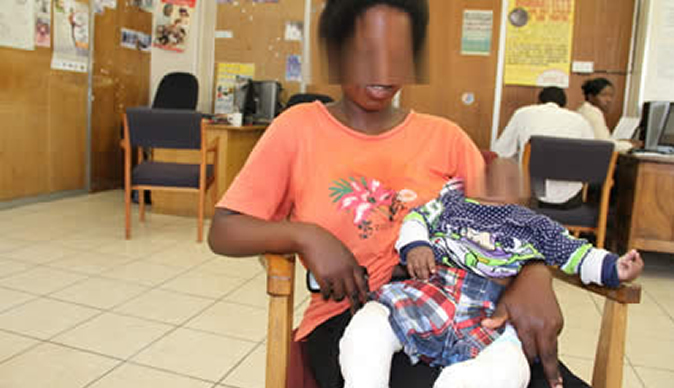 A Domboshava woman, Kudzai Mautsahuku (21), lost two teeth during a beating from her husband, David Sinaro (28) for giving birth to a disabled baby. The baby, Blessed, was born with both legs bent, facing upwards from the knees. Blessed has had a plaster put on to help correct the condition. Kudzai claims that her husband made her go to her parents' home and would not send her money while she was pregnant. "Murume wangu akatondimanikidza kuenda kumusha achida kusara achiita zvekunzungu nekunyimo. Hapana kana mari yaaitumira kusvika pakubatsirwa mwana (umkami wathi ngiye kithi esithi ufuna ukusala ebambabamba, akula mali angithumela yona ngaze ngabeletha lumntwana)," she said. She adds that her husband did not contribute to her hospital fees and her parents had to pay until they felt they had had enough. They then asked her to go back to her husband in Harare but when she got there, she found him already living with another woman who was already pregnant. He told her that the woman, Memory Muoni, was his friend and asked his wife to leave saying a child with feet facing upwards was not his. David insisted that his lady friend was not going to leave and he even attempted to remove the plaster from the child's legs, saying there was nothing he could do with a disabled child. "Ndipo paakandirova nezvibhakera ndokubva andibvisa mazino maviri ekumatadza achiti hakuna kunoenda shamwarikadzi yake uye aizobuda mumba ndini. Akabata mwana achida kumubvisa purasita mumakumbo achiti chirema anochidii (Yikho lapho angitshaya khona ngezibhakela ngakhumuka amazinyo amabili, wathi isikomba sakhe kasiyindawo ongaphuma endlini yimina. Wabamba umntwana efuna ukukhumula iplasta enyaweni esithi isigoga uyasithini)." "Akandirova ndakabereka mwana achindisandudzira kumadziro emba achiti, 'Nhasi unofira mumawoko angu, buda nechirema chako uende nacho kuna baba vake, ini handisi. Handizvarise zvirema, enda kune akakupa mwana iyeye." (Wangimukula ngibelethe umntwana engifuqela emdulini esithi, "Lamuhla uzafela ezandleni zami, phuma lesigoga sakho uye kuyise, mina kangisuye. Kangizalisi izigoga, hamba kulowo owakuzalisa umntwana yenalo." Kudzai said that she could not understand her husband's actions considering that he was also born with his feet facing upwards like the child and he walks with a limp because his feet are not the same length. David refused to sleep in the same bed as his wife and she says that he would bring different women every night. Kudzai decided to report the matter to the police after the bleeding would not stop and David spent four nights in jail. She says she dropped the case after she realised that she was going to struggle on her own. When questioned, David said that he only hit his wife after she tried to stab his pregnant lady friend. "Ndakamukwidibira mbama ndakurirwa nehasha nekuti akanga ava kuda kubaya Memory nebanga nekusanzwisisa kuti zvaiva zvatoitika sezvo Memory airambira mumba - akanditevera (Memory) achiti haana kwaaienda nenhumbu yangu (Ngam'hlakaza ngempama sengifikelwe lulaka ngoba wayesefuna ukugwaza uMemory ngomsense ngokungazwisisi ukuthi kwasokwenzakele njengoba u Memory wayesalela endlini - wangilandela (uMemory) esithi kayindawo lesisu sami)," said David. He admits that Memory is expecting his child and he wants Kudzai to understand that he loves them both. The horrid things he said about his child's disability were out of anger even though he had suffered from the same condition as a baby.